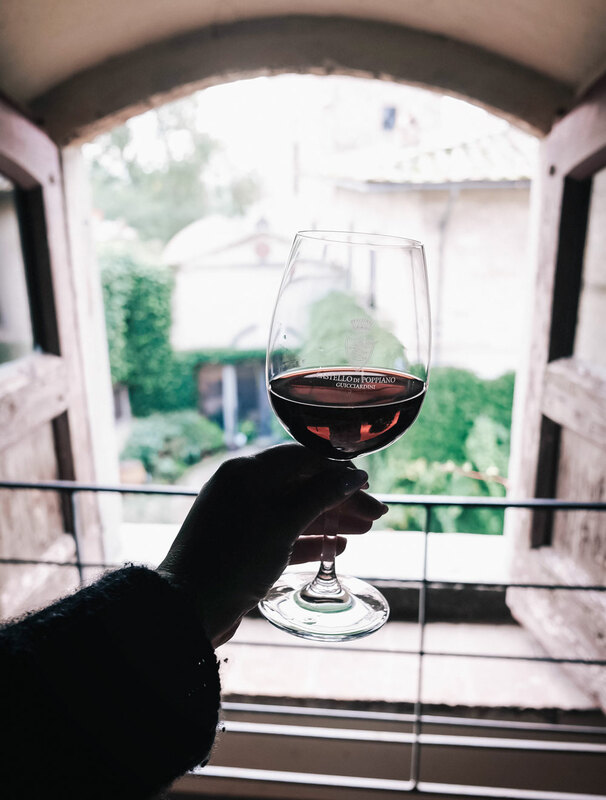 While Matt and I were head over heels for Rome as far as cities on our Italian adventures (make sure you see both my guides here and here if you haven’t already! 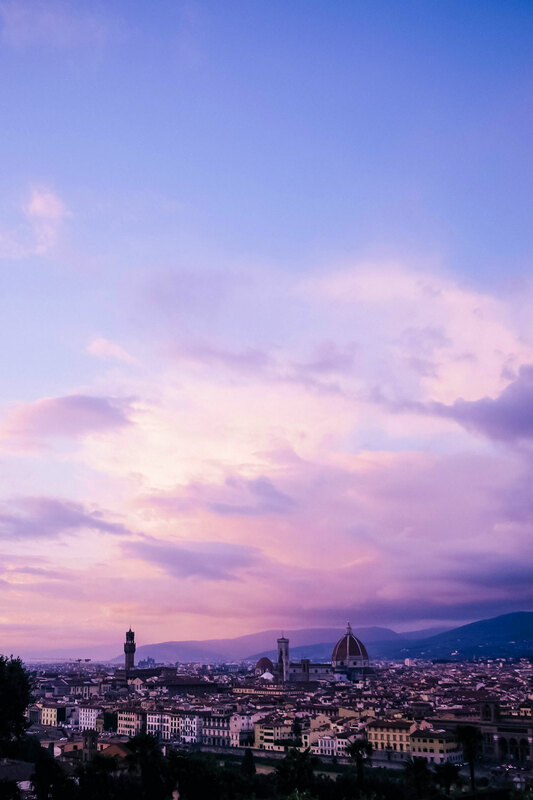 ), Florence was right behind as our favourite city we’ve visited. 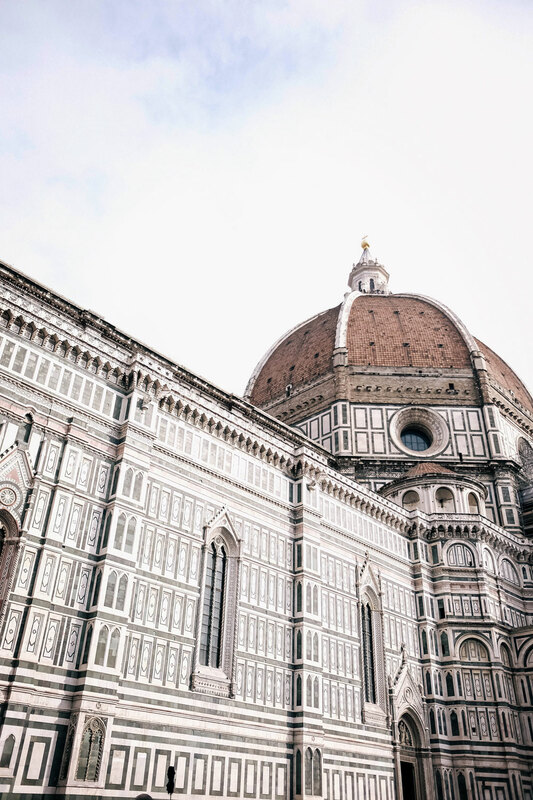 We were told by our Airbnb hosts that Florence is less of a city and more of a large village – a feeling we as Vancouverites know well! 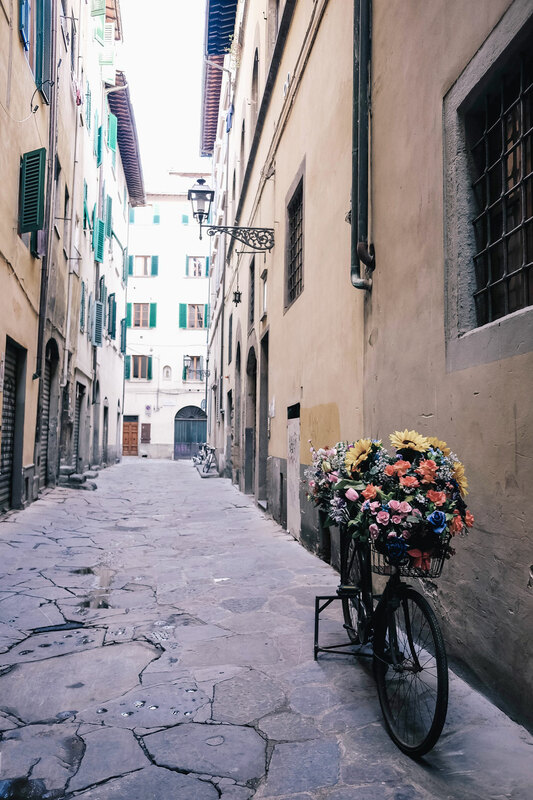 The difference between our modern “big village” and Florence, however, is that Florence has the most insane history you could possibly imagine – seriously, if there was a place to invest in a tour or a guide, Florence would be it (though on that note, at least the Vatican City in Rome does too!). I’ll be sharing more about Walks of Italy soon but if you’re on the hunt for a good tour guide I can not stress enough how much Matt and I loved our experience with them – we booked the Best of Florence walking tour if you’re curious and it was unreal, our guide was amazing and we just learned so, so much. First of all, a quick lay of the land and some general things you need to know. 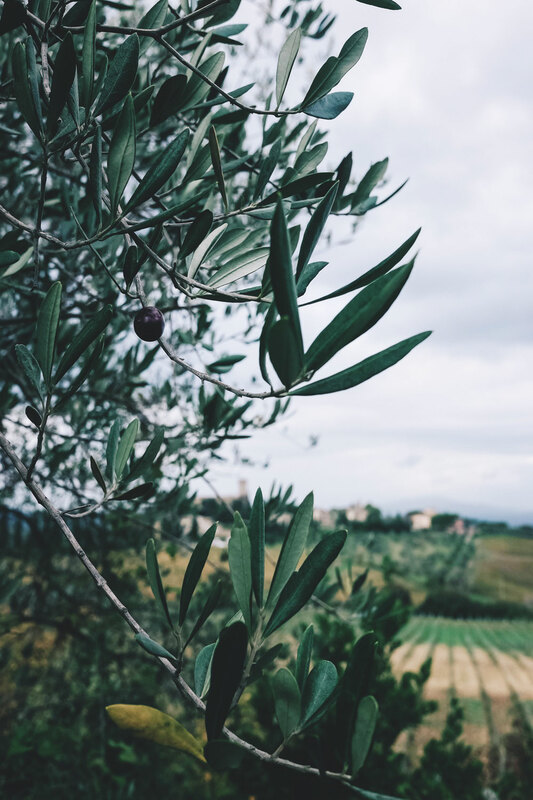 As you likely already know, Florence is the largest city in Tuscany and the capital of the region, so if you haven’t seen it yet, you’ll want to see my Tuscany countryside guide here to get a sense of the food, the vibe, the activities, etc! 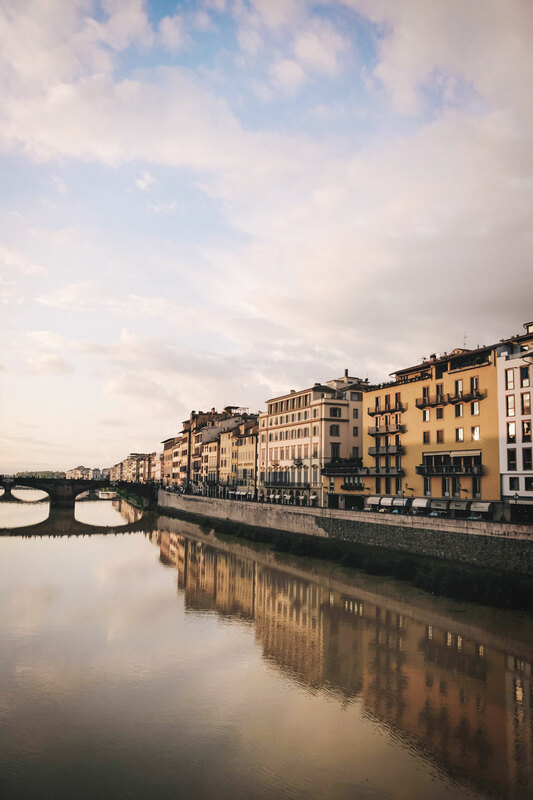 Another important note (and you’ll discover this soon enough either way) but if you don’t know this already, Florence’s Italian name is Firenze – important detail for booking train tickets, driving in, etc! 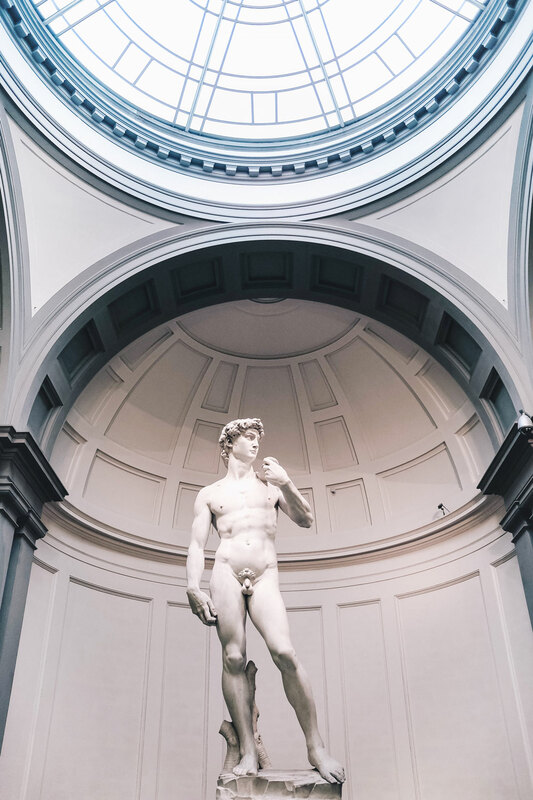 You probably remember this from your Art History classes, but Florence is basically the epicenter of all Renaissance culture. 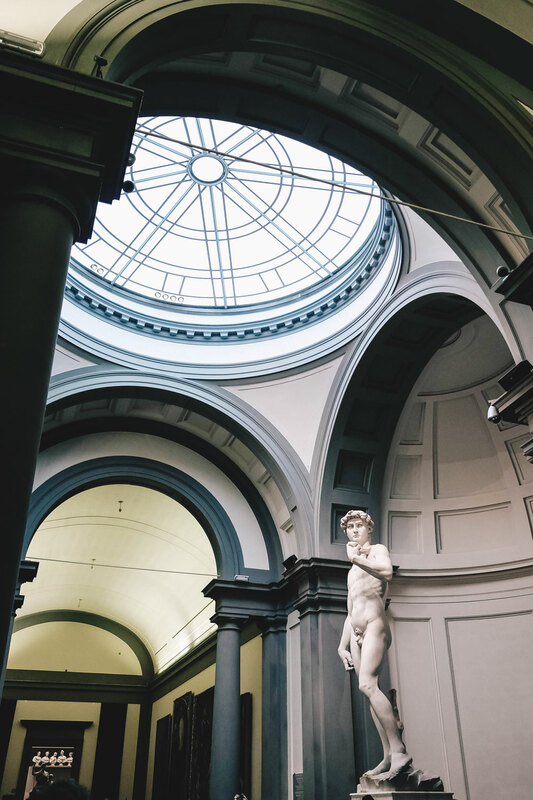 Some of the most important artists, works of art and thinkers were born and bred in Florence. 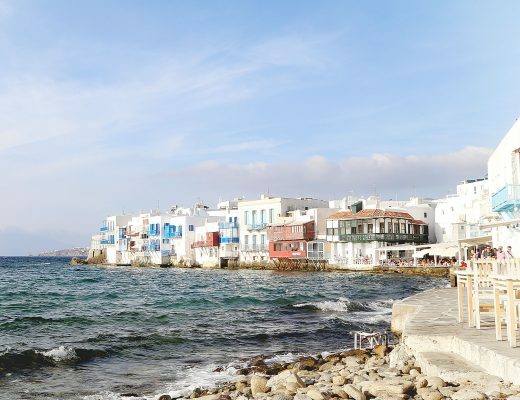 It’s such an immensely important city which is why you just have to do it justice and discover its history in addition to enjoying its beauty, amazing food and lively scene. It just gives so much context to the city – for instance, while it’s a beautiful city now, we were so surprised to learn that this used to be basically a Game of Thrones-like, battle-for-your-life-every-day, feuding-family city. You can still to this day spot raised bridges hundreds of feet above your head that would connect family towers together so that family members wouldn’t have to exit their space and potentially get murdered in the streets. Its stunning architecture and beauty now is an evolution and development over years, and its breathtaking duomo has the most insane history – you’ll learn all about it on site but we were just so blown away by the many stages of its creation and the truly groundbreaking moments in its architecture and design. 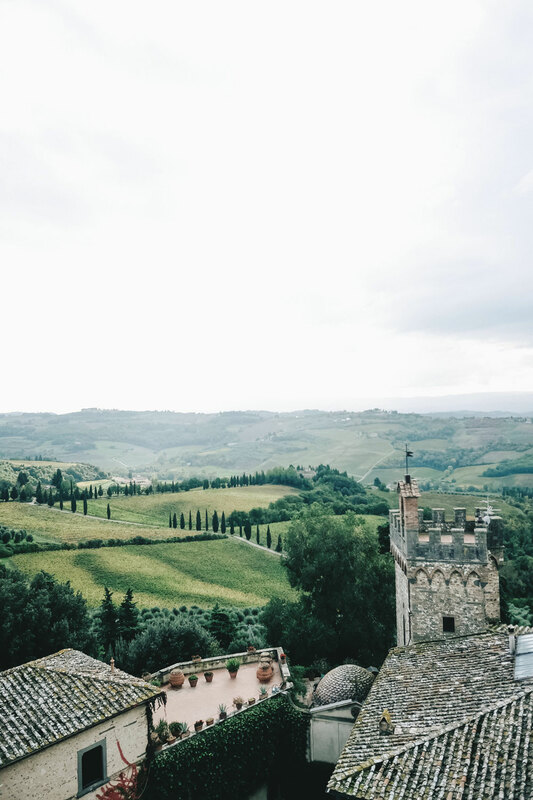 If you need tips on where to stay, I can’t suggest our Airbnb enough – it was our favourite of the whole trip (quick recap of our Airbnb guide to all of Italy here). It’s so easy to get around Florence – we walked the whole thing end to end just about every day and it was so manageable. Definitely make sure you check out my packing list for comfy options to wear but just know that while more mild than other Italian areas, in the winter it can get chillier so even when we were there in October, I definitely needed to layer on the Italian cashmere. Now, on to the details! If you’re there for a few days, there are a few things you absolutely need to see. 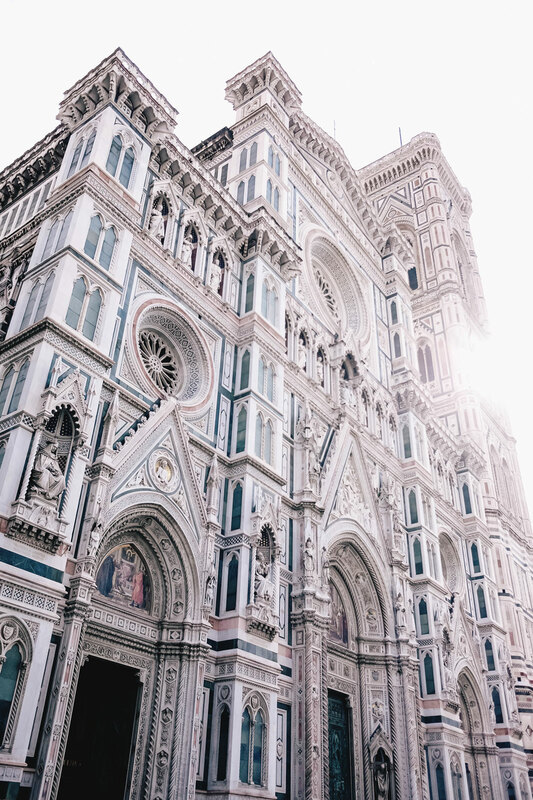 Other than the tours (already mentioned above) which will include a visit to the city’s most amazing museums, sites and art galleries (the Duomo, the Accademia, etc) there are some places that you definitely need to seek. First up, Ponte Vecchio! This literally translates to “old bridge” in Italian so obviously – it’s got some history! 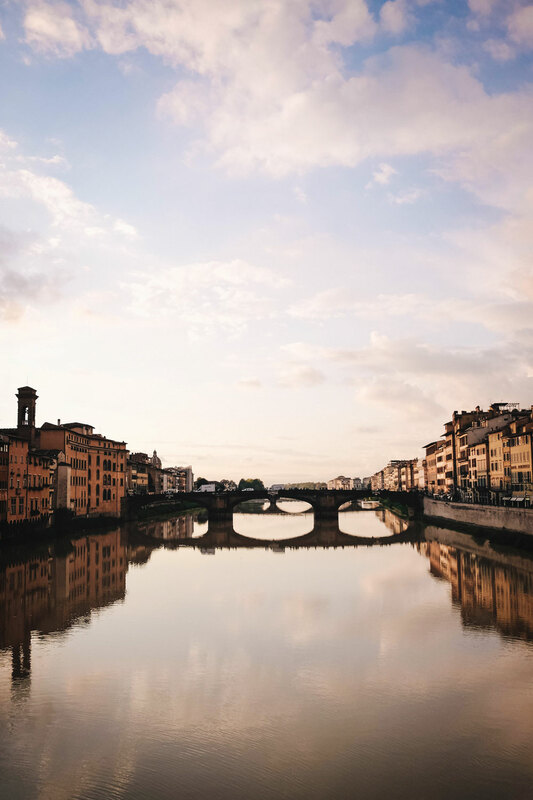 Interestingly, Ponte Vecchio used to be where butchers sold and cleaned their cuts – the famed Medici family (who ran Florence and pulled strings in much of Italy for years upon years upon years) built the Vasari Corridor above it to connect the Palazzo Vecchio with their main residence of Palazzo Pitti on the south side of the River Arno. They literally did this so that they could escape the offensive scents of the butchers’ products below and eventually banned any butchers from the bridge once they’d had enough of the stink, replacing it with (what else?) jewellers. Exclusively! To this date, the vendors on the bridge are primarily jewellers, along with some art dealers and the like. Come here just before sunset or at sunrise for the most beautiful shot of the river – apparently the river is usually pretty calm so you’ll get a stunning reflective shot (we loved ours so much we got it framed in our space!). 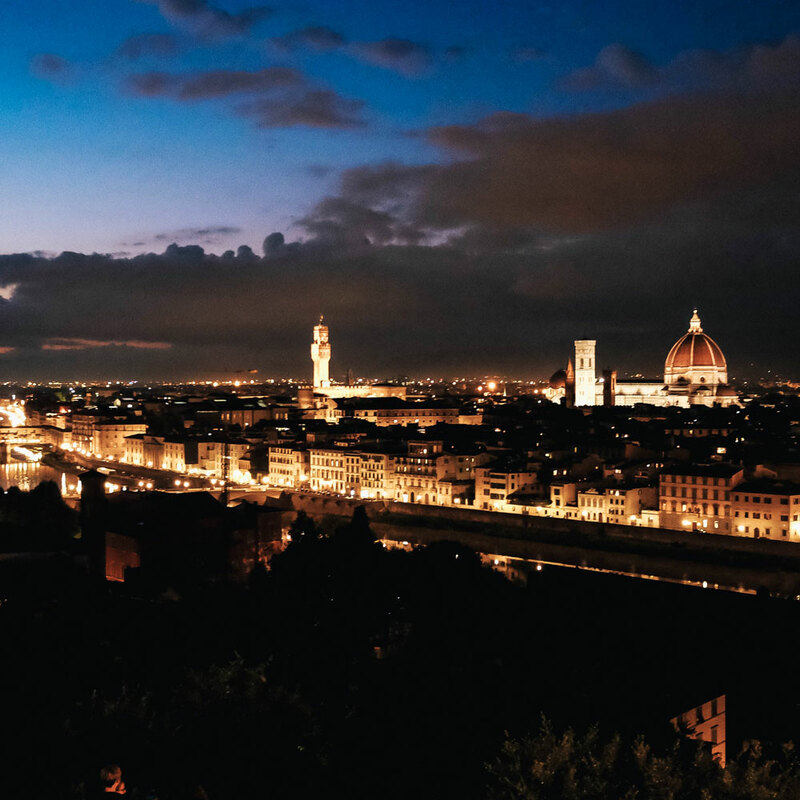 If you’re timing up properly with light, you have to go to Piazzale Michelangelo to get the most incredible panoramic shot of the city – pictures won’t ever do it justice but it’s a must. While I’m not crazy usually about being surrounded by tourists, there’s something so amazing about being seated with everyone on the stairs as a musician plays on, sipping on a couple Peronis bought from a vendor and watching the sun go down on this beautiful city. You must do it! Another Florentine rite of passage? Go to the Mercato Nuovo (literally “new market,” love the Florentine naming system) and put a coin in the Porcellino, the bronze pig at the side of the market! To guarantee a return to Florence, you’re supposed to put a coin in its jaws and let it fall in the underlying grating, plus give its snout a rub on the nose! It took us a few tries but we eventually got it! Speaking of markets, a really special experience is to go to the Mercato Centrale for after-hours food and some vino – so cool to see all the different vendors and to get dinner in this fun setting! Plus our food was incredible, not like a lot of other market fare in other towns. Now, where to shop! I actually had the best shopping experience here. We were trying to escape this sudden downpour and happened to stumble into BENHEART with the sole mission of escaping the rain. There, I ended up chatting with the friendly and charismatic dude behind the counter of this Italian leather goods place and quickly fell in love with everything, so much so that I bought the most beautiful belt (you guys have seen it here, here and here) that he customized exactly the way I wanted. As we were leaving, he offhandedly mentioned he would be off soon too – he’s actually the owner of the company and just stopping in to check in on things. When I looked into their Instagram later, I discovered this was actually a massive brand with a ton of success in Italy and beyond – was so cool that I just happened to stumble in, to chat with the owner and also, how cool and humble and sweet he was! Not only do I have a belt I’m obsessed with (and still wear all the time), but now I have a cool memory out of it too. 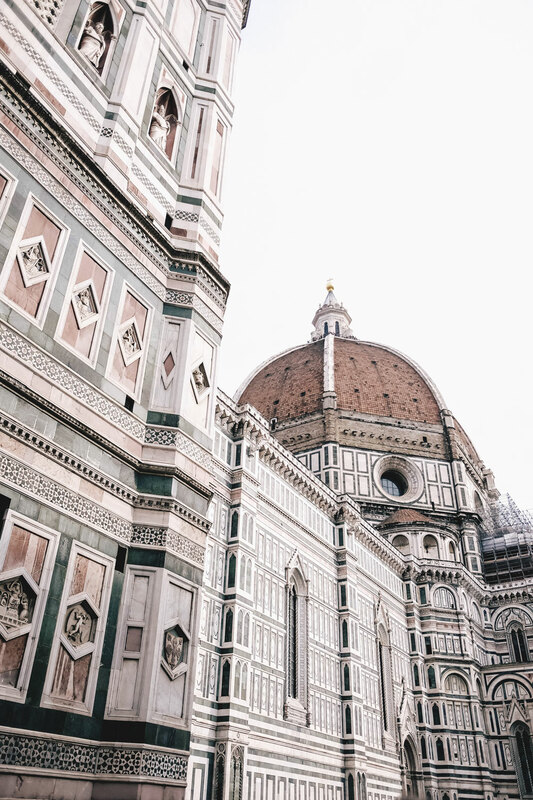 Of course, other than its famed leather vendors (which there are a ton of, but I’d suggest BENHEART for a truly contemporary and custom experience), Florence is famous for its perfume. I quickly learned that the Farmacia Santa Maria Novella was the OG of them all – begun in 1612, you can still buy its original scents as well as its ongoing creations now and the space itself is worth a visit because it is breathtaking. Take some time to wander around and try out different scents and then you can go to a register to pick up something – I ended up bringing a fragrance home and am so happy I did because if anything is going to evoke a strong memory of a place, it’s a scent. 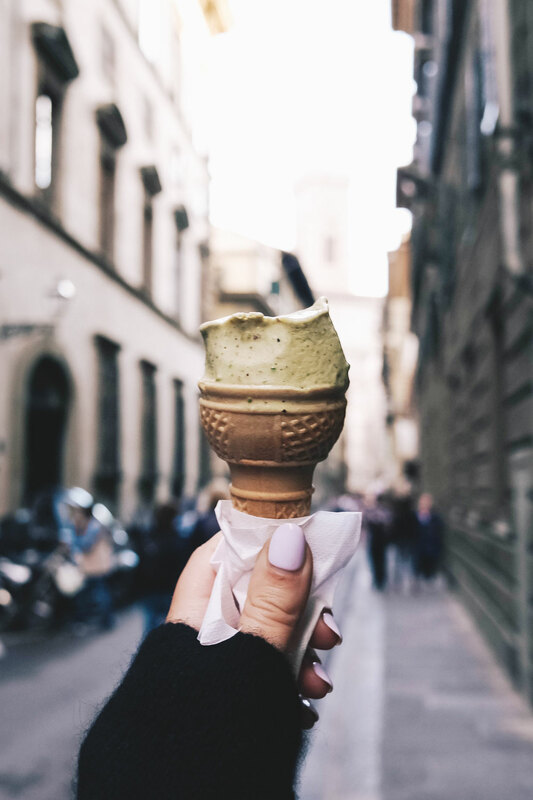 Let’s start with the gelato – if there’s one place to go to for a truly unique experience, it would be Arà: è Sicilia for its traditional Sicilian gelati. So. Good. I think we made at least 4 visits here in our few days visiting Florence. Now for the best meal of maybe our whole trip (which is saying a lot because we ate so well): the most unpretentious, teeny tiny gem called Grotta Parri. 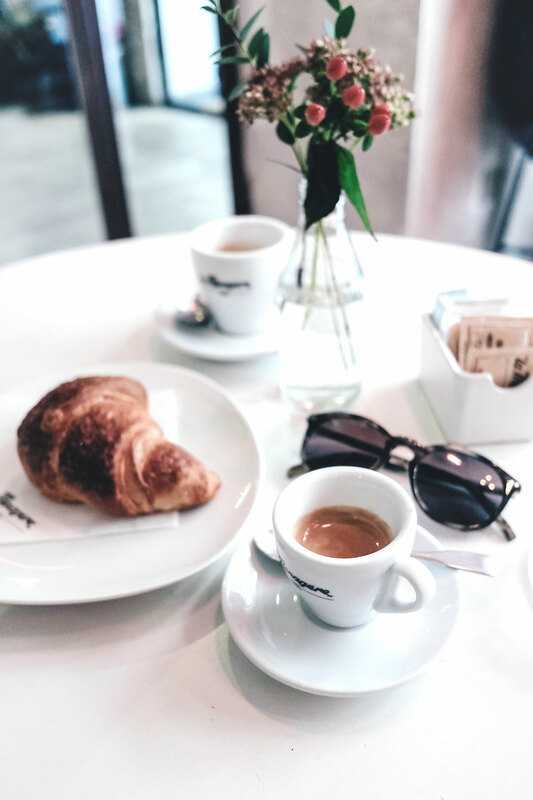 Near the Piazza della Liberta, it was just the most special lunch in all its simplicity, deliciousness and the sweetness of the owners and staff. It’s extremely rare to be anywhere in Italy where you’re the only tourist and this was the one place where we were truly surrounded by locals on their lunches – thankfully, my Italian had improved by this point so that I could actually order, but we were very much the exceptions as tourists there and even though we kind of stuck out as a result, everyone was so sweet and warm to us (they even gave us free espressos). You have to go. Other than the Mercato Centrale, you can literally stop in just about anywhere (especially on the south side of the river) and also eat amazingly, if albeit a bit catered to tourists. If you’re up for it, you need to try Florentine steak. Hilariously (well maybe not hilariously, I just love facts), the locals actually bred cows specifically for the steaks British tourists loved so much way back when since their native cows were actually work cows and therefore not very tasty (hence the traditional street food made of various innards that stewed for hours in spices). But years on it’s now become one of their staples and while I’m not much of a meat eater, Matt certainly is so I took a hit one evening (on my usual pizza diet, of course) and we went to local staple Perseus. Let’s just say the waiter shook Matt’s hand at the end of the meal and Matt was visibly sweating through most of his steak consumption so I think he really went all-out on the experience. La Ménagère is a lovely cafe-meet-restaurant-meet-flower-shop – not especially traditional, but really beautiful and an IG must. It’s also on a bit of a quieter road so it’s nice to kick back and relax here for an hour or so during your adventures. 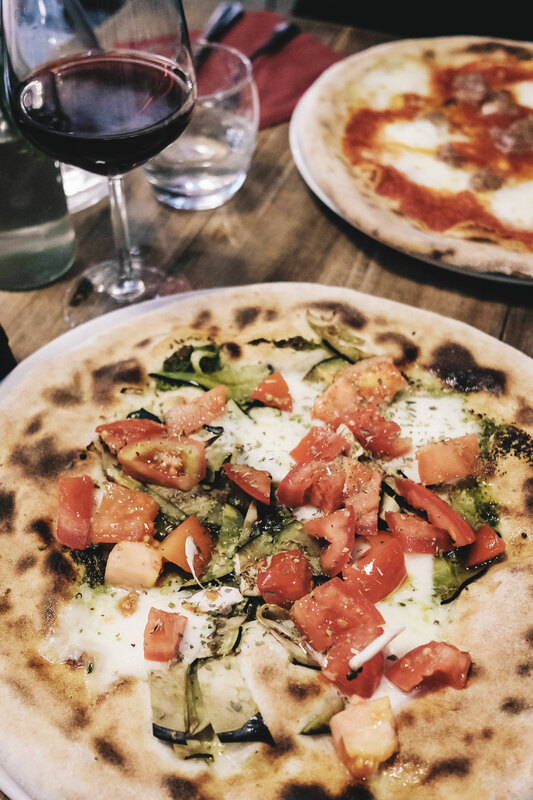 Simbiosi via de Ginori was amazing for organic pizza after we got in from a train ride from Cinque Terre our first day – so tasty! There are (as always, in Italy) so many options, but this one I would definitely recommend. Okay and last thing! If you don’t get the chance to stay in the countryside the way we did earlier (though if you can, I’d really suggest spending a few nights there! 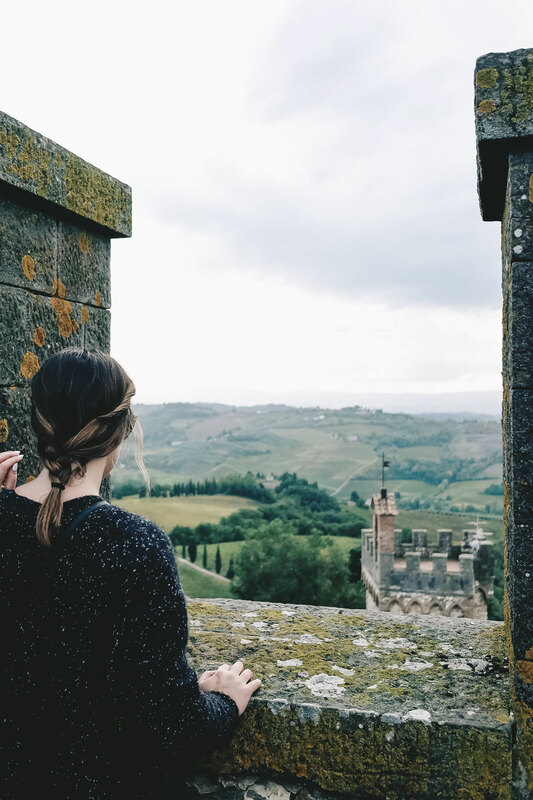 ), you can still experience the beauty of the countryside by booking in a day trip from Florence into the surrounding countryside. We booked an amazing bike tour with Tuscany Bike Tours to get some much-needed exercise in for the day, to learn more about the wine and olive oil production in the area and to get to actually visit a winery that’s been in production for years upon years, to taste the different wine and to get a chance to just gaze upon the beauty of Tuscany. As you guys know I’m a big biker at home, and I’m such a big believer that this is an incredible way to see new places, so definitely would recommend this tour to discover Tuscany. It’s such a special part of the world and I can’t wait to go back again in the summer – beautiful in all seasons I’m sure but I feel like the summer would be when it’d be really on display, and it was already so beautiful during our October adventures. What a crazy long guide but trust me, this will be one of your favourite stops in all of your Italian adventures so keep this one bookmarked for fast reference! I also have a pin below that outlines some must-see highlights. Remember to come with a big appetite, some cozy footwear for discovering the city by foot (totally comfortable to walk it all but you should always be comfy!) and make sure you have a clear memory card because you’re going to be shooting like crazy! If you guys have any other requests before I take off to Spain next week, let me know and I’ll try to share ASAP! Would love to hear where you’re off to this summer too – tell me in the comments below! I enjoyed seeing your photos & perspective Alexandra. Florence was the first city in Italy I visited back in 2012 and I’ve been back many times & done many paintings of the city. The market (north of the train station) is my favorite stop for street food.. One of the stalls sells fresh, deep-fried seafood – and if there is a line they serve glasses prosecco while you wait! We need more of that in line ups in Vancouver! Fantastic guide!! I’m heading to Italy this summer so this is extremely helpful! I’ve never been to Italy, but this guide really makes me want to visit, as everything looks amazing! I’ve not got any holidays booked this year – my fella is often away so finding the time to go away together is tough! It’s also only a couple of years since we had a big holiday in South Africa, so we still need a little while longer to save. Europe is so close to us though, and even with impending political doom, it should still be affordable to visit. I shall have to bookmark this post and put Florence in the running for a short break destination.